The protesters demand restricting the price hike in petroleum products and in insurance premium. The All India Motor Transport Organisation has announced a nation-wide transport strike on Tuesday, which is likely to affect normal life in several states. The strike presses the demand to withdraw the proposed Motor Vehicle (MV) Amendment Bill, which was passed by the Lok Sabha and is pending for approval in the Rajya Sabha. The opposition parties in the Rajya Sabha stand unitedly against the proposed amendments as the debate over the bill continues. If passed in the Parliament, the Motor Vehicles Act Bill proposes to allow the Central government to take away certain powers of the state governments. It would also allow bringing widespread changes to the old MV Act of 1988, including higher penalties and stricter rules. Centre of Indian Trade Unions (CITU) has also extended its support to the transport strike, which is likely to affect normal life on Tuesday. This is the second time a nationwide agitation against the proposed amendments have been held by the road transport. The protesters are demanding restricting the price hike in petroleum products along with withdrawal of hike in insurance premium. The amendments would pose a threat to autorickshaws, that are a major source of self-employment, while it would break the permit system for private buses and make goods transport costlier, protesters said. 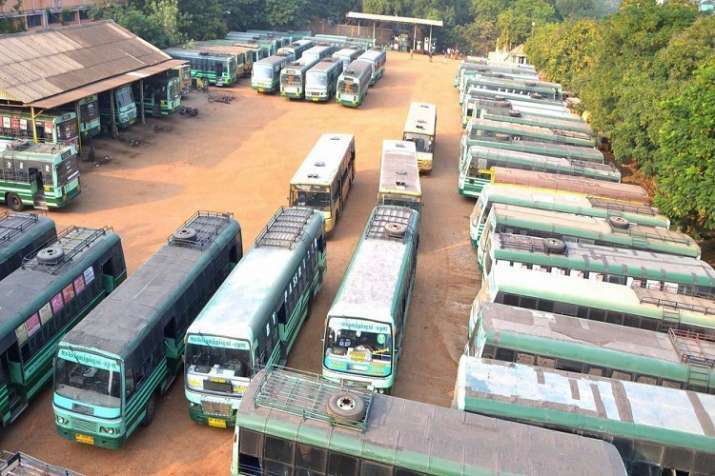 During the strike, vehicles including private buses, autorickshaws, taxis, freight vehicles and most of the KSRTC buses, will stay off the roads on Tuesday. Reports suggest that auto mobiles showroom, automobile spare parts shops and driving school owners and staff will also be participating in the strike. Only private taxi operators, including Ola and Uber, will participate in the strike in Karnataka. In Bengaluru, Namma Metro services and autorickshaw services are likely to be operational. Telangana State Auto Drivers Joint Action Committee has decided to support the strike in response to the call. A notice in this regard has been issued to the Transport Commissioner saying that all would participate in the strike.